since 1947. The original company was founded in Switzerland in 1872 by Julius Maggi. 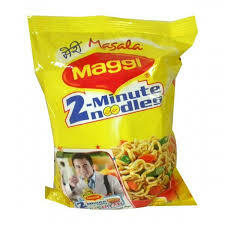 merged with the Nestle company currently known in its francophone homebase as Nestlé S.A.
India’s food safety regulator said tests have found Nestle India’s Maggi instant noodle products are “unsafe and hazardous”. Maggi is the market leader in India, Nestle’s global chief executive promised to return Maggi to store shelves. Paul Bulcke told reporters in New Delhi: “I am confident that we are going to come back very soon.